New Japanese Boy band name BTZ is Debuting Soon, But Some facts of this boy band are listed below. 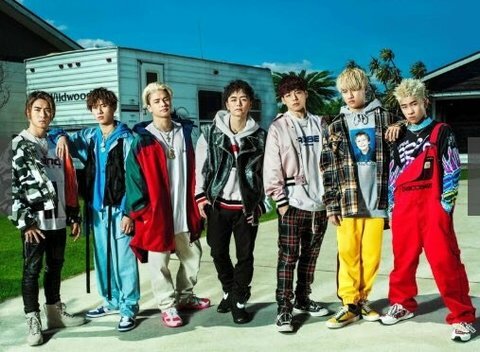 A 7 member group called Ballistiz Boyz will be produced by Hiro from EXILE. It looks like some kpop star BTS. That company who hosting this group is known to copying the kpop, also they previously debuted a girl group which is copied from Girl’s Generation’s. after that they removed the girls and make boy band name generation. This band is fraud. I’m sorry just why? J-Pop in my opinion copies the high earning bands from K-Pop. It is stupid and unoriginal. This is just my opinion. I know some of you like J-Pop but in all honesty, Glucose? Your kidding me. It’s clearly copied from BTS, Sugar is Glucose, Glucose is Sugar. They are the same thing! It’s obvious! Fin?! You have to be kidding me. Syllable Beast? Seriously? Are they tryna get kids to learn the alphabet? Syllable? Seriously, way to go get someone teased for a dumb name. Terryoung, John Crook? Seriously. You have to be kidding me. GAspiration?! DMin?! These names are clearly copied and not original, they could probably be copyrighted if wanted.